NIGRA has reposted this from the Guardian – we send our support and wish Connor a wonderful Christmas and New |Year. YouTube vlogger Connor Franta, who has more than 3.6m subscribers and upwards of 156 million views, has told fans that he is gay. In a video entitled simply “Coming Out”, the 22-year-old discussed working through his sexuality and telling family and friends, before deciding to share the news with his online audience. Franta said he had first thought he might be gay when he was 12, but the idea “terrified” him because he was from the Midwest and that was “not a normal thing there”. 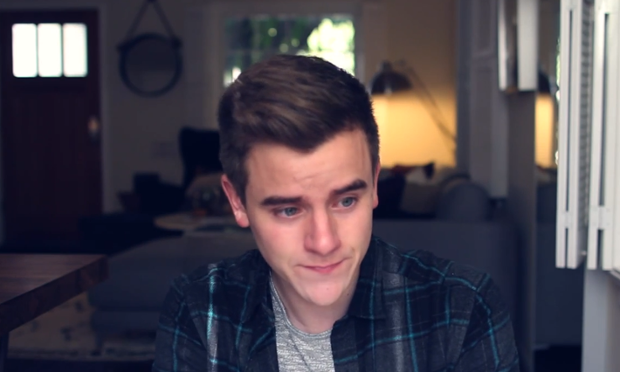 Franta’s emotional coming out video to his fans. The comedian, who makes lifestyle videos including “Living Alone” and “Walking Around Naked”, said his family and friends had been supportive of his coming out and urged others struggling with their sexuality to do so, saying it would “be OK”. He also spoke about the information he had sought online from other vloggers and bloggers when he was struggling with his sexuality, and wanted to give others similar advice. “You are who you are and you should love that person,” he said. His coming out video has already had more than 2 million views and attracted 100,000 comments. The majority of comments were positive, and conveyed pride, respect and support for Franta, but not all. “Personally I dont support/like gay. But that just my opinion [sic]”, read one of the negative ones. More than 430,000 people have “liked” the video, while 3,299 have given it the thumbs down. 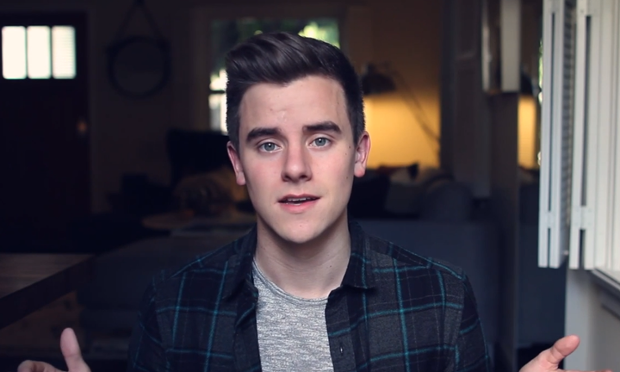 Franta is the latest high-profile figure to come out on YouTube. Last year the British Olympic diver Tom Daley announced last year that he was bisexual in a short video entitled “Something I want to say …”. It has since been viewed more than 11 million times. In April he declared he was happy to call himself “a gay man now”.